“The proverbial calm before the storm,” “the proverbial straw that broke the camel’s back,” “clean as the proverbial whistle” and “the proverbial icing on the cake,” are all ways proverbial is used today. In these examples, proverbial refers to connections with idioms, not proverbs. Perhaps proverbial is confused with idiomatic because there is a fine line between idioms and proverbs. Proverbs are short expressions of sentiments we take to be truths or lessons, whereas idioms are fixed expressions that do not need to include wisdom. What do you think? Is the term proverbial chopped liver? Let us know by writing on our Facebook wall or commenting on our website. None of our English grammar rules ‘is’ hard… or ‘are’ they? It seems like it should be straightforward to figure out if the subject of your sentence is singular or plural, but sometimes it’s just not. On this week’s edition of That’s What They Say, University of Michigan English Professor Anne Curzan joins Weekend Edition Host Rina Miller to discuss subject-verb agreement issues. If the subject of a sentence is you or someone you know, the corresponding verb is sometimes singular and sometimes plural. Which is correct? The appropriate verb may depend on the sentence’s meaning. If the subject implies either you or someone you know, but not both, the verb should be singular. If the subject may refer to both you and someone you know, a plural verb is acceptable. The expression for all intents and purposes has become, for some folks, an expression about purposes that are intensive. 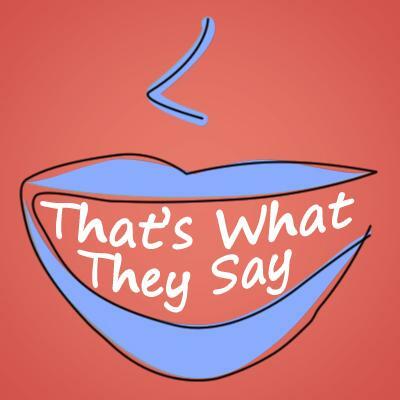 On this week’s edition of That’s What They Say, University of Michigan English Professor Anne Curzan and Host Rina Miller discuss eggcorns, or new expressions developed when the original sayings are misheard or misinterpreted. Linguists at the Language Log coined the term eggcorn to describe these modified phrases in 2003.